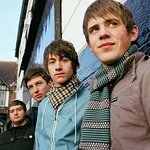 British band Arctic Monkeys will release their new single exclusively through Oxfam shops, with proceeds going to help the charity’s work around the world. Crying Lightening is the first single off the band’s new album, Humbug, and will go on sale at Oxfam’s 700 charity shops throughout the UK on August 17. It is the first time Oxfam shops have sold a new release single for 25 years. 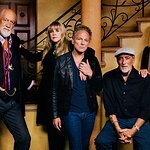 The band is also urging people to bring in their old unwanted CDs and music when they buy the single, as Oxfam shops sell around US$10 million worth of music each year – that’s enough to buy 187,000 emergency shelters, or provide safe water for 8 million people. The new single will cost £2.99 (US$5) and will come with a code for a free download of the song.